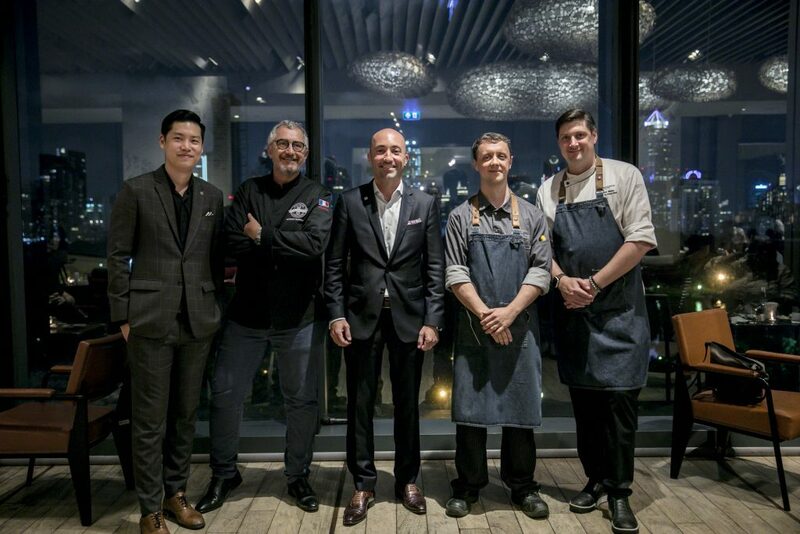 SO Sofitel Bangkok announced this week the exciting program of activities that will take place at the hotel on 15–22 September 2019, when 8 Michelin-starred chefs and 8 chef maestros come together to cook during the 8-day program featuring 8 different activities, during the 8th edition of SO Amazing Chefs. 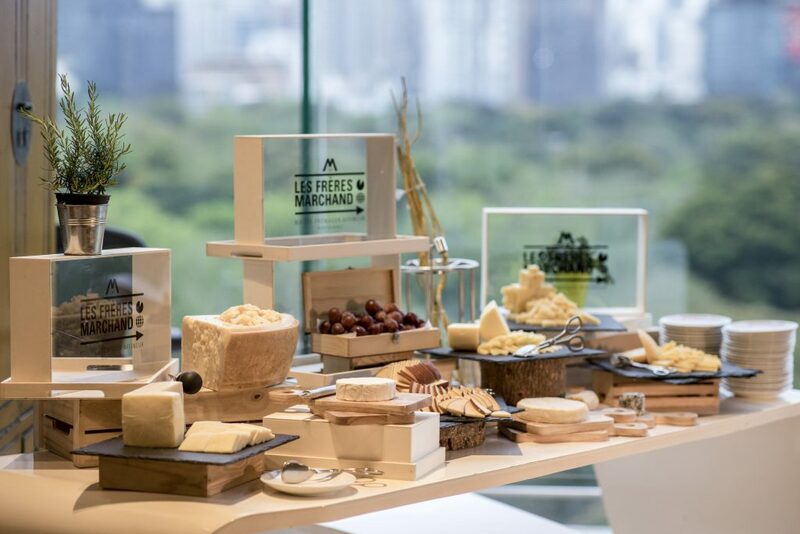 The event was launched around long tables covered in a fine selection of cheeses brought to Thailand by cheese mongers Patrice and Phillipe from Les Frères Marchand, one of the oldest food artisans in Eastern France. 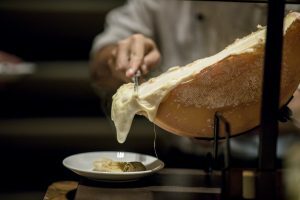 Among vintage comté, aged parmesan Reggiano, époisses de Bourgogne matured in white Burgundy wine, Normandy Camembert, and other, guests got a glimpse of what the hotel’s rooftop bar MIXO will offer on its new menu, as well as what cheese connoisseurs will get to enjoy on 20 September 2019. “We started doing the cheese events in Bangkok at SO Sofitel and I’m very proud to be here and to come back as a SO Amazing Chef in September 2019, on the eight edition. 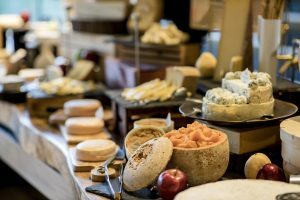 Maybe they chose us because – we are the oldest cheese masters from France – my family started the company in 1880 (double eight),” said Patrice Marchand. “Answering to all foodies, SO Amazing Chefs 2019 will be a perfect choice where all experiences included with finest chefs handily picked for each exclusive event hosted at SO Sofitel Bangkok. This year, with its 8th Edition, we spice up the fun with a new cooking class, weekend Michelin dinners, fusion Dim-Sum, traditional Kaiseki, and the two-day event of the Culinary Showdown. 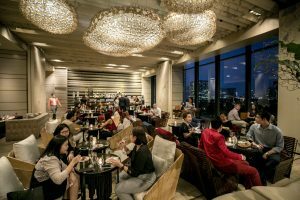 We hope you are SO ready to feel amazed and I cannot be more proud of the role SO Sofitel Bangkok has played in this city’s evolution,” said Jean-Francois Brun, SO GM of SO Sofitel Bangkok. Begin the first day on Sunday 15 September 2019 at MIXO, THE LOVE OF OYSTER, with Oyster Shucker, Chef Jacques Cocollos from the world-famous oyster cultivation area Marennes-Oléron which is located on the coast of the French region. Sip & Shuck and enjoy the best Majestic oysters and pouring the bubbly in the glass. New events this year include THE ART OF BAKING, on Monday 16 September 2019 at Gaggenau kitchen at MIXO, with the only female from Iron Chef Thailand, Chef Thananya Kaikaew joining hands with Chef Piti Saengmanee, the Hotel’s Executive Sweets & Savoury Chef teaching how-to-bake signature “Soufflé” from Michelin’s guide, Soufflé and Me restaurant, and Chocolate Lava cake with recipes to be made at home. Follow by the return of Chef Nicolas Elalouf of Man Mo and THE HOUSE OF DIM SUM, with a one-night-only dining experience. Using the Gaggenau kitchen at MIXO, chef Nicolas will bring European ingredients into authentic Chinese creations. Over at Park Society restaurant, one Michelin-starred chef Takatomo Izumi and Jiki Miyazawa, will offer THE NIGHT OF KAISEKI for the first time ever in Thailand, with a series Japanese traditional dishes matched with wine or sake. Both events will be held on Tuesday 17 September 2019 from 7 p.m. onwards. The Culinary Showdown will take place on Wednesday 18 and Thursday 19 September 2019 at the Ballroom. A total of 16 highly-rated chefs will go knife-to-knife in a two-day competitor where 75 minutes will be given together with secret ingredients and, working as a team, all chefs will participate in creative cook-off showdown. Professional judges and industry shakers will select the winning chefs based on presentation and taste of their innovative creations. Lastly, a revamped Drink ‘N’ Brunch will shake up Red Oven restaurant with a SUNDAY DRUNCH, letting a superstar chef take over the kitchen at Red Oven. 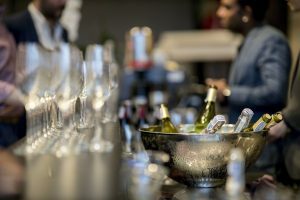 With eight culinary heroes – Nicolas Elalouf, Rob Van Der Veeken, Thananya Kaikaew, Simon Scott, Maria Jose San Roman, Patrice and Phillipe Marchand, and Jacques Cocollos – the Sunday boozy brunch will take a different meaning. Leading the event this year event is Head Culinary Designer, Chef Thomas Smith, together with chef de cuisine Nicolas Basset from Belga Rooftop Bar & Brasserie. Chef Rob, De Karpendonkse Hoeve continues to achieve new heights with his new culinary creativity. For more than 15 years now, Chef Thierry Drapeau has been perfecting his craft in the culinary world. When challan ducks — his specialty go-to produce — fall into chef Thierry’s hands, he transforms this star ingredient into a magnificent masterpiece. Situated in the historic Logis de la Chabotterie, chef Thierry’s two Michelin-starred namesake restaurant has garnered much compliments and awards. Now a chef and restaurant owner, chef Thierry also has a new exciting establishment named L’escale by Thierry Drapeau in Saigon. All prices are subject to 10% service charge and 7% government tax. SO Sofitel Bangkok reserves all rights to update or modify this program at any time without prior notice.